“Music is a tough art limitless to learn. 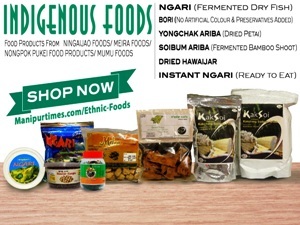 It is a panacea for the ailing, courage for the weak and sheltering tree for the restless. Good singer depends on good voice. We have many things to learn in the art. I feel shocked to see the budding singers setting their foot in the field of earning with the profession even before they get fully matured. 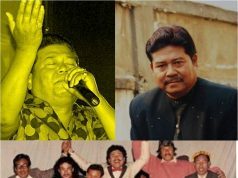 Contemporary singers should learn the art properly to be great singers and pay due respect to the senior artistes,” said 77 years old veteran singer Chongtham Sanatombi. 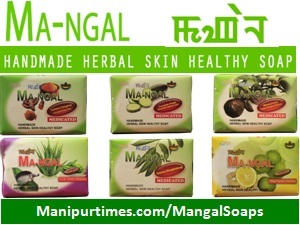 Although the name Chongtham Sanatombi is not much familiar to most of the people, the her evergreen lines – Eeta amuba kajolse muthatpiro, pamjadre amuba jatse… and Chinglon Lanna Paokhrba Nangbu, Cheklai Shaklon Loukhrababa Nangbu… are still popular to most people particularly the Radio Matam Eeshei listeners as the songs continues to be a hit even today. 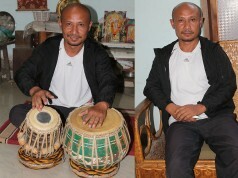 The magnificent voice of Sanatombi was hailed as different from other Manipuri singers in the genre of ‘Manipuri Adhunik’, now more commonly termed as ‘matam eeshei’. Born on October 22, 1938, Thokchom ningol Chongtham ongbi Sanatombi Devi was brought up from Sylhet Khunou in Bangladesh to her beloved parents (Late) Shri Thokchom Joykihor Singh and (Late) Smt Dhanabati Devi. She is the fourth amongst five children. She had two elder brothers, one elder sister and a younger brother. 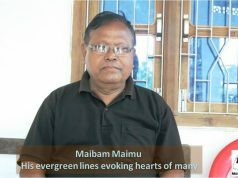 The whole family of Sanatombi Devi migrated from Bangladesh in the year 1947 fearing the repercussions of the Indo-Pak partition and settled at Nabadwip in West Bengal, India. Her father wanted her to be a great artiste. 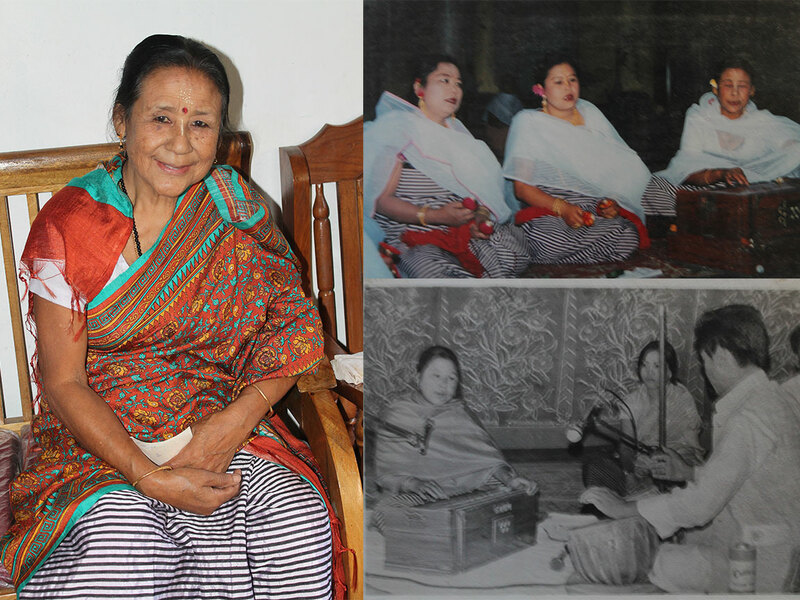 While staying in Nabadwip in 1947 when she was just 9 years old, she was initiated to the world of Music by her Guru Asem Ongbi Chobi Devi popularly known as Wangoi Chaobi who was also residing at Nabadwip at the time. She was a musically gifted child. It was at Nabadwip in Bengal at the age of 9 when she was initiated to the world of music by her Adi Guru Smt. Wangoi Chaobi Devi in the year 1947 who was also living at Nabadwip by that time. 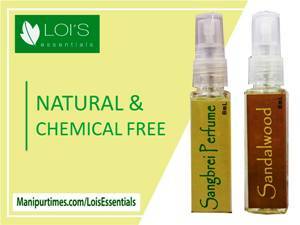 Under guidance of Wangoi Chaobi Devi, she debuted in a Manipuri classical dance “Ras-Lila” wherein she played the role of Radha in a function. 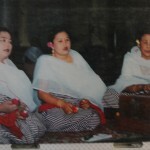 Wangoi Chaobi taught her Sankritan, Bengli Kritan and playing of Harmonium instrument. 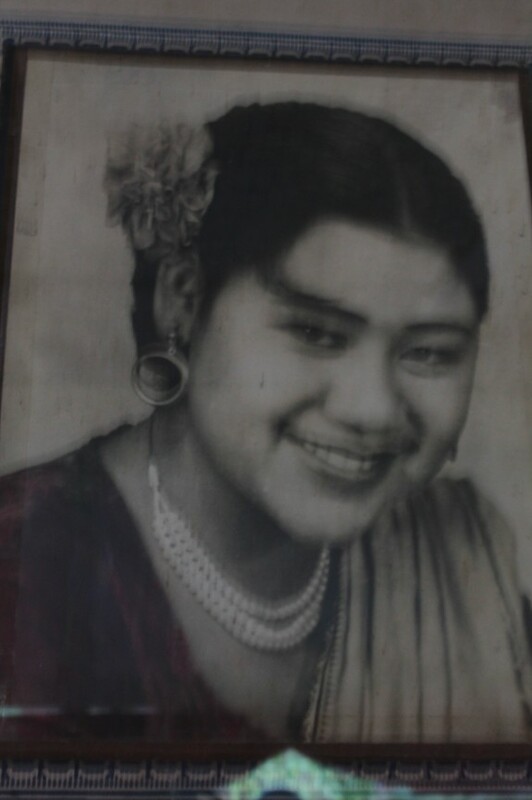 As the teacher advised her to learn music of the communities, she learnt singing of western music, Khaliya (Ale Ale Ale…Lok Aleto wan Yareplend), Nepali (Kolti par Neharnuhora Manipuri Ketilait dekhero), Urdu, Bengali, Hindi and Assamese. She could win high public accolades for her talent and skill in dancing and singing and from that very day she started to flourish as a young child dancer and singer. In 1956, she learnt singing of Nimai Sanyas under the guidance of Guru Anandamay Bandhopadhyai at Nabadwip. 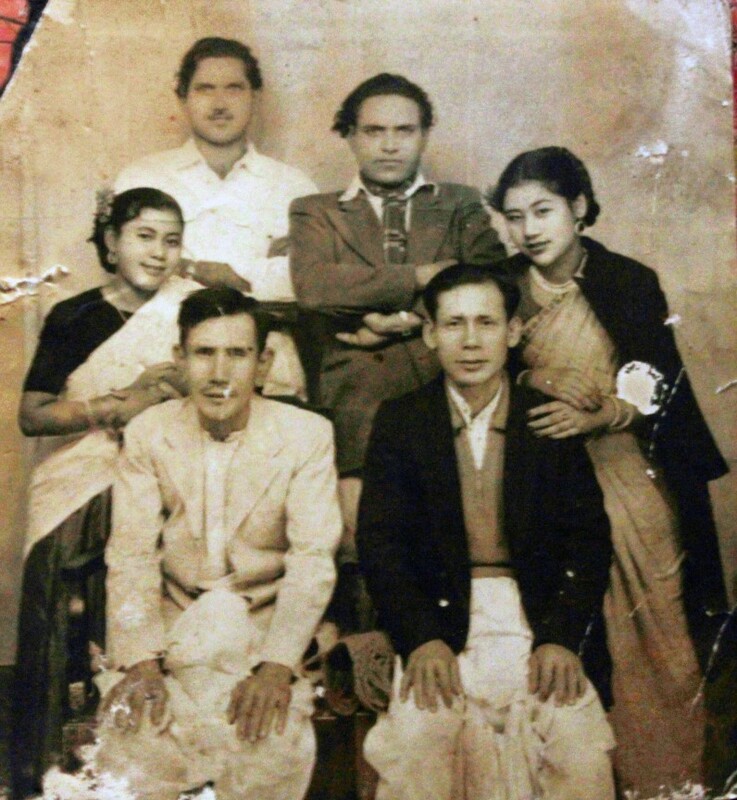 She also got the opportunity to learn Man Bhanjan from Oja Moirang Ningthou of Kangjabi who visited Nabadwip in 1957 and in the same year she completed learning the chapter of Naoka-Bilas from Guru Lalbabu known as Japan Tonu who was on tour at Nabadwip. 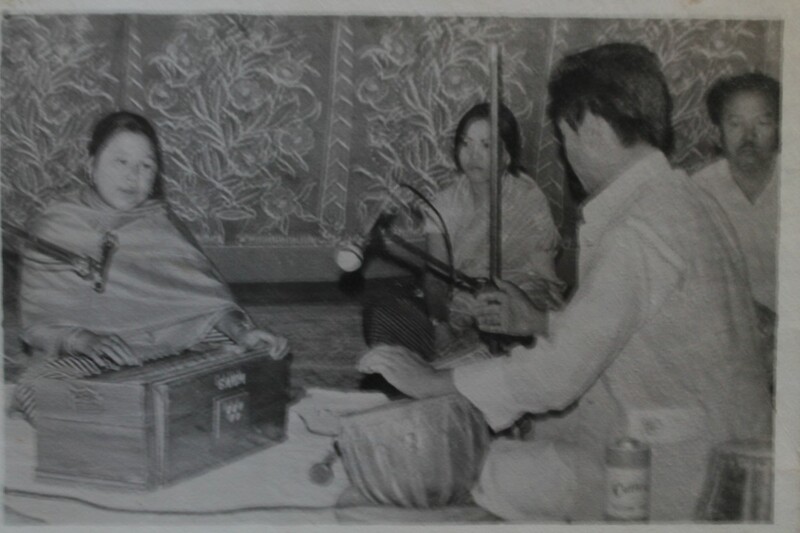 She learnt three hours long Geet Govinda from Oja Hijam ongbi Sanajaobi, Ravindra Sangeet from MK Binodini, L Gourahari and Harichoron. 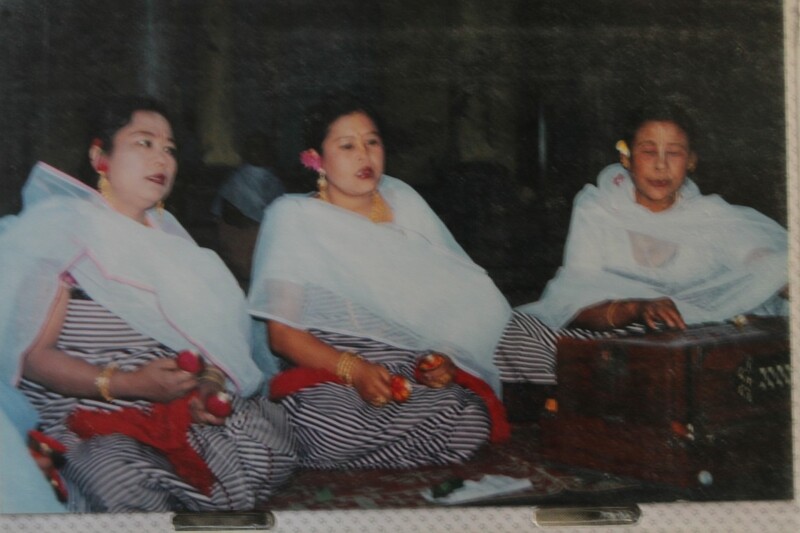 With lessons in various singing styles from learned teachers, Sanatombi Devi still captures the imagination of various music lovers of Manipur. 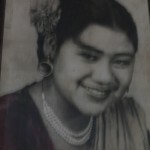 After her learning from her Gurus, she frequently visited Manipur as a part of conducted tours of dance and song shows based on the above Nimai Sanyas, Naoka Bilas and Man Bhanjan and she became quiet prominent in this field. Pas Khela (originally Paasa Khela) a dice game evolved out of these shows. 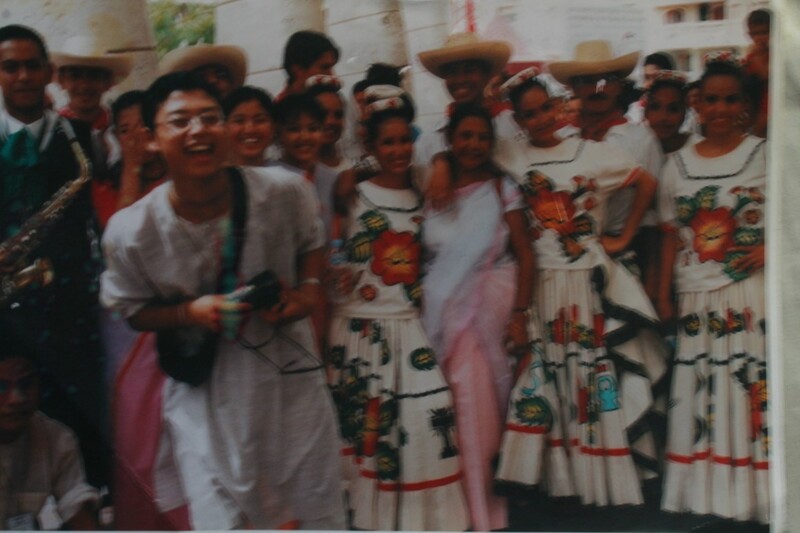 As her interest was confined to only dance and music, she could not continue her academic career after class three. 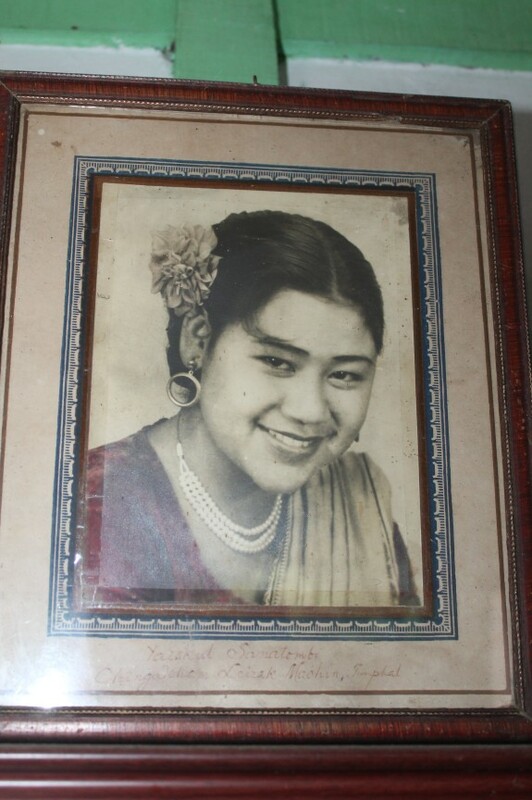 During her frequent visit to Manipur, she made acquaintance with her future husband Chongtham Indramani Singh of Yaiskul and got married with Chongtham Indramani in 1958 and moved her residence permanently to Yaiskul Chingakham Leirak in Imphal. 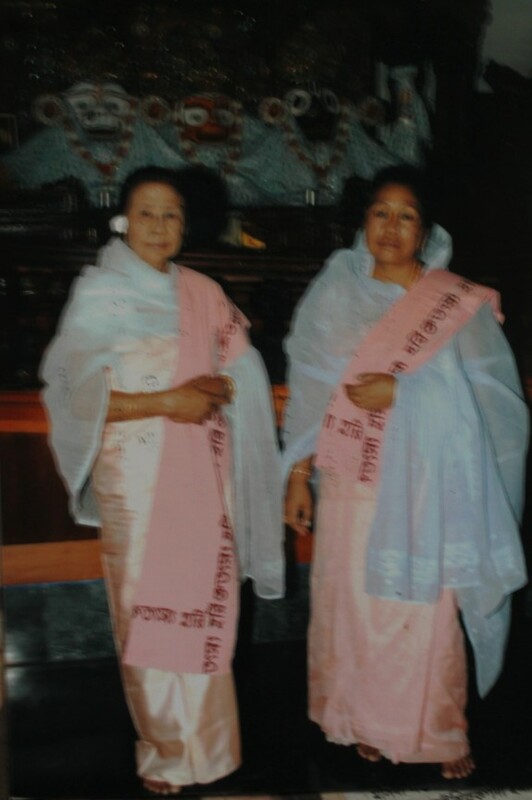 Her husband Chongtham Indramani Singh, who was serving as Deputy Superintendent of Excise to the Government of Manipur, passed away on December 17, 1999. 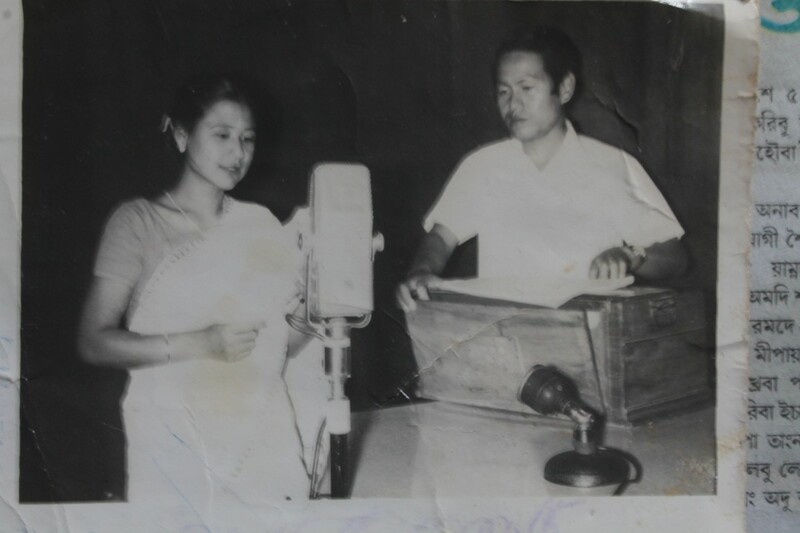 In 1960, Sanatombi became an approved singer of Manipuri Adhunik (Matam Eeshei) songs at the All India Radio Guwahati Station. 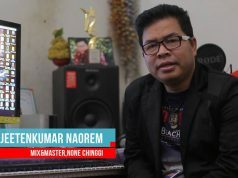 She worked as a music instructor at the Manipur State branch office of the Indian Council for Child Welfare at Moirangkhom. She also served as music instructor at the Bhaktivedanta Institute Mission Higher Secondary School at ISKCON. On the other hand she also teaches music to the members of ISKCON Women’s Forum. 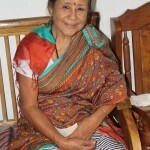 Nowadays she enjoys singing Sankirtan on different occasions in various parts of the state. 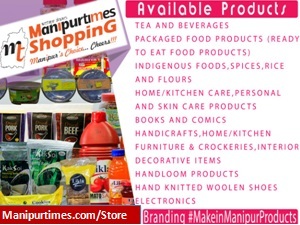 She also performs in stages to enthrall the crowds at various musical shows across the valley of Manipur where she sings her golden hits to music enthusiasts. 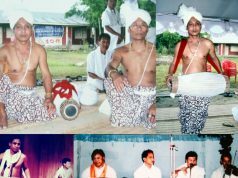 Sanatombi was honoured in the field of Arts and Culture, Manipuri Adhunik (Matam Eeshei) by the then Chief Minister of Manipur RK Ranbir Singh in the year 1991 during a Republic day function. 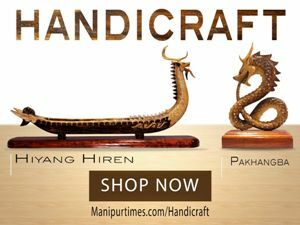 She was also honoured with the title ‘Sangeet Ratna’ and a gold medal in 1999 by the Arts and Culture Dramatic Association Moirang. Moreover, Sanatombi Devi was awarded Lifetime Achievement ‘Maibam Haricharan Award’ in the 2000 by ROOP RAAG on its 40th anniversary celebration held at MDU hall. 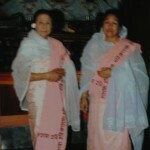 For her contribution in the field of Manipuri Matam Eeshei, Sanatombi Devi was given the Certificate of Recognition by Apunba Manipur Matam Eeshei Kanglup (AMMIK) in the year 2005. 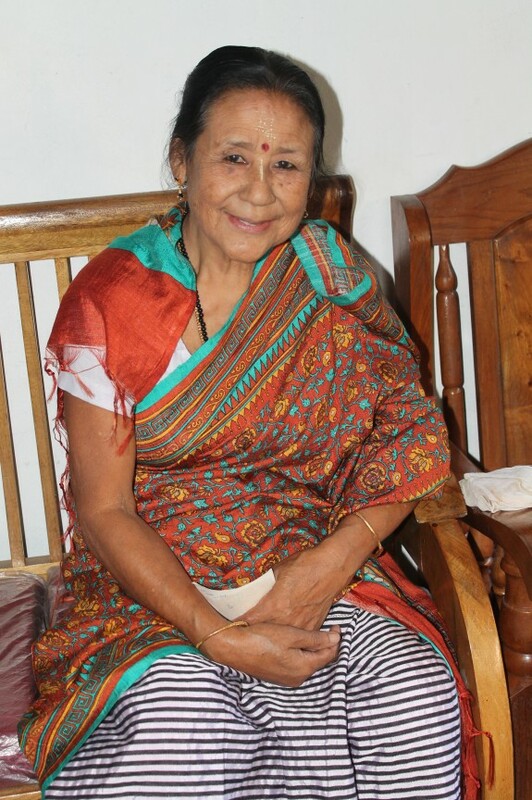 Manipuri Sahitya Parishad also conferred Sangeet Bhusan award to Sanatombi Devi in 2010 in recognition of her contribution in the field of art and culture. 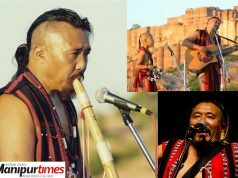 Sanatombi has toured India extensively giving outstanding performances at places like Darjeeling, Goa, Mathura, Brindavan, Haridwar, Radhakunda, Siliguri, Risikesh, Shillong, Nagaon, Mumbai, Benaras (Varanasi), Jaipur, Delhi, Gaya, Allahabad, Kashi, Bhagalpur, etc. 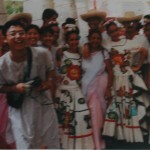 ISKCON Manipur in recognition of her enthusiasm, dedication, experience sent her on an international tour as Sutradhari to countries like Italy, Germany, Spain, France, Barcelona and Sicily in 2001. 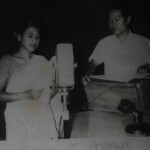 While she was 12, the first song she sang was Bengli song titled “Shuneihe Chokono Kala Ami bolibokyar”. I did not know singing could make earning. 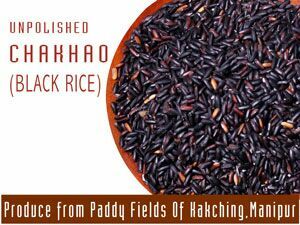 When I was 20 years, Oja Chaobi bought a land at Nabadwip for my family with Rs 7000 which was saved for me without my knowledge. 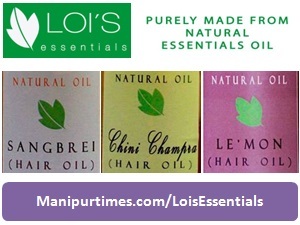 After some time, I came to Manipur and settled at Chekon. 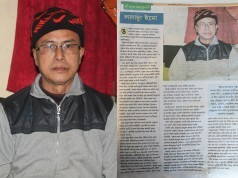 I set my foot in Paskhela with singers like Bimola, Sundari and many others. 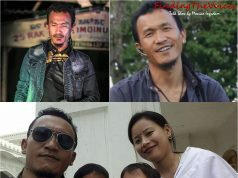 In the group, there was Ngangbm Rnganath, clarinet player who happened to be close friend of my husband. 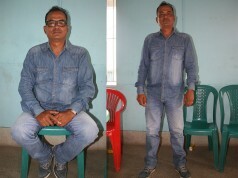 So far, Sanatombi has sung over 550 songs for All India Radio. 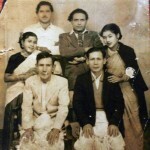 She said that the songs written by Idhou Sudhir – Karibu Haina Tamlasige Madhop, Nang Kainarabi Radhado Kunjada kayada wahouba are her favourite songs. 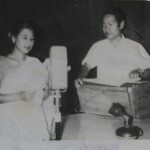 It was Pabungcha Nongmaithem Pahari who led me to All India Radio. There was no proper studio. They brought the recording machine and recorded my debut song Chingi Thambl U Thambl., Pamel Tahkta Pomba Lei, Loibi Chingda Nganba Lei, Leirang Leinungshi O written by Oja Apabi. 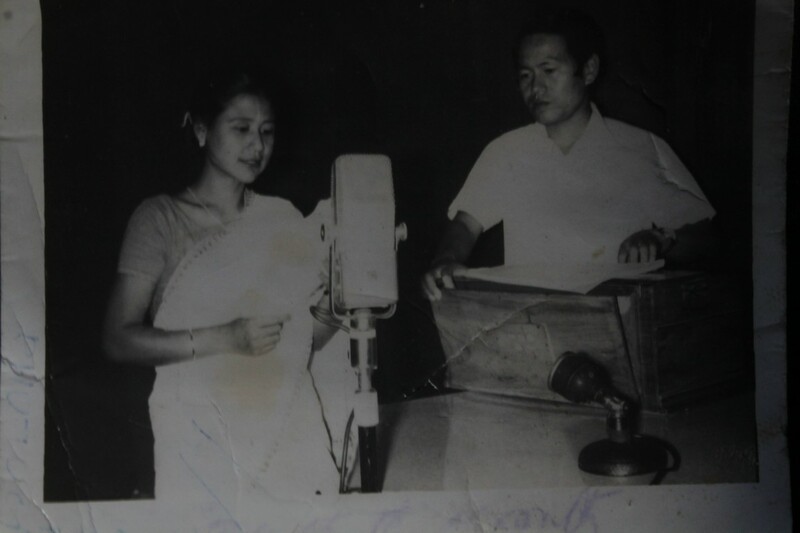 Then the master piece sing Amuba Kajolse Muthatpiro, Pamjadre amuba Jatse was recorded which was later on broadcasted from AIR Guwahati. She had sung six songs for DDK. To her credit, four audio albums (in cassette form) have been released so far. 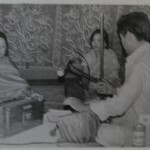 The audio cassettes include Geet Govinda Volume-I, Geet Govinda Volume-II, Bhajan Mala and Thariktha (along with late Nongmaithem Pahari). 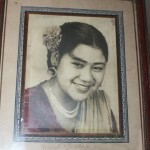 Eeta amuba kajolse muthatpiro pamjadre amuba jatse written by B. Jayantakumar Sharma and Chinglon Laana Leikhraba nangbu cheklai saklon loukhraba nangbu written by Chandam Shyamacharon are the most famous songs sung by Sanatombi Devi. Next articleManipur Government’s water cannon and arrest of school students are illegal and go against Juvenile Justice Act 2015. Why?